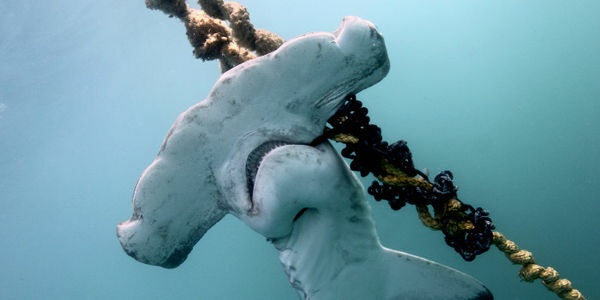 petition: Tell the Queensland Government: Stop killing sharks in the Great Barrier Reef! The Great Barrier Reef, the largest living structure on our planet, is not a safe place for sharks. The Queensland Government's shark control program kills marine wildlife in the Great Barrier Reef on lethal drumlines. 19 species that survive hooking on the drumlines are shot. Since the 1960s, tens of thousands of sharks have been killed in this program. Reef sharks, hammerhead sharks and other vulnerable and harmless species are being inhumanely executed in their own natural environment. HSI and AMCS need your support as we fight for the lives of our sharks and the health of our Reef. We need you to send the strongest possible message to the Queensland Government about just how archaic this program is. Please add your name and tell the Ministers of Queensland to stop the slaughter. The Reef needs sharks. I am astounded to learn that 19 species of sharks are deliberately shot as part of the Queensland Government's Shark Control Program which is currently operating within the World Heritage Great Barrier Reef Marine Park Area (GBRMPA). This list of "target" species includes harmless sharks that pose no threat to humans. After seeing images of non-target, endangered hammerhead sharks killed on the drumlines I believe there is no other option but to remove all lethal drumlines from within the Marine Park. It's unacceptable that harmless animals like these are meeting a cruel fate, all for the illusion of bather protection. Non-target species will continue to die whilst lethal drumlines are in operation in the Reef. I am writing to you today to put an end to this outdated policy and for you to rip up the target list of 19 species of shark. There are many scientific studies showing that killing sharks does not make people safer in the water and only leads to further marine ecosystem degradation. The current program is archaic and an unacceptable way to approach bather protection in the Great Barrier Reef. Instead, I urge the Queensland Government to adopt a non-lethal approach to bather protection. We must be doing more for sharks and for our reef, and the first step is to stop this policy leading to the cruel and unnecessary deaths of sharks. The Great Barrier Reef is an Australian icon and globally recognised for its natural wonder. It is your responsibility to conserve this wonder and the animals which call it home on behalf of the world.